Spring is one of my favourite times of the year, the temperature is warmer and the sun shines brighter with flowers in bloom, however pollen fills the air and my allergies begin to act up. The first thing I do is grab my oil burner and pure essential oils for guaranteed quick natural relief. 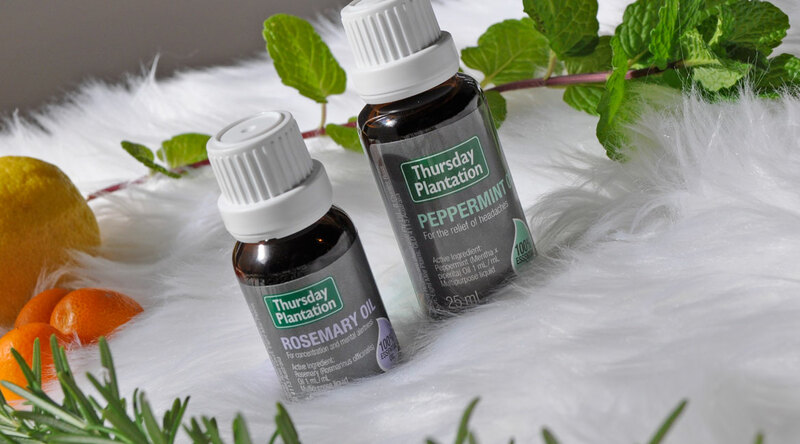 Thursday Plantation is my go-to brand, it’s an Australian made and owned company, offering a range of health and beauty products all derived from nature’s oils. Their high quality range of 100% pure essential oils work in harmony with our body at a cellular level to promote natural health and wellbeing. They are packaged in amber bottles with orifice reducers to preserve the antibacterial effect from damaging light and dispenses the oil drop by drop. Aromatherapy not only heals my body and immune system but it also helps me find my balance and revives my senses. There are numerous medicinal properties in the form of these pure essential oils and today I will be featuring my top two must-haves for both topical and aromatic uses. Peppermint Oil – Mixed with a carrier oil and rubbed into the forehead and temples helps relieve headaches and stress or you can add a few drops to your bath for immediate relaxation. It has a variety of uses that include opening blocked sinuses, relieving nausea, easing digestion and more. Cosmetic Uses: Promotes hair growth, controls acne, soothes and softens skin. Rosemary Oil – Improves mental alertness, brain function, memory and even creativity. Relieves headaches, stress, respiratory problems, muscle pain, bug bites, boosts energy and more. Cosmetic Uses: Fades stretch marks, thickens hair and rids hair of dandruff. For the temporary relief of headaches – Add 20 drops (1mL) to 10mL carrier oil and massage forehead, temples. Traditionally used in Herbal Medicine to help relieve cough and cold symptoms – Add 5 drops (1/4mL) to hot water and inhale. This sharp and herbaceous smelling essential oil is great to stimulate memory, support mental clarity and relieve general fatigue. It can also be used to relieve headaches and rheumatic complaints, as well as improving scalp health. To support mood, memory, concentration and mental alertness. To support mood, memory, concentration, mental alertness, general debility and fatigue – Add 6 drops to water in an oil burner. For rheumatic conditions and to support circulation: Add 6-10% essential oil to vegetable or carrier oil and massage affected area. For use in shampoos to help control dandruff and support healthy hair growth – Add 6-18 drops to 100ml of shampoo. Do you use essential oils? 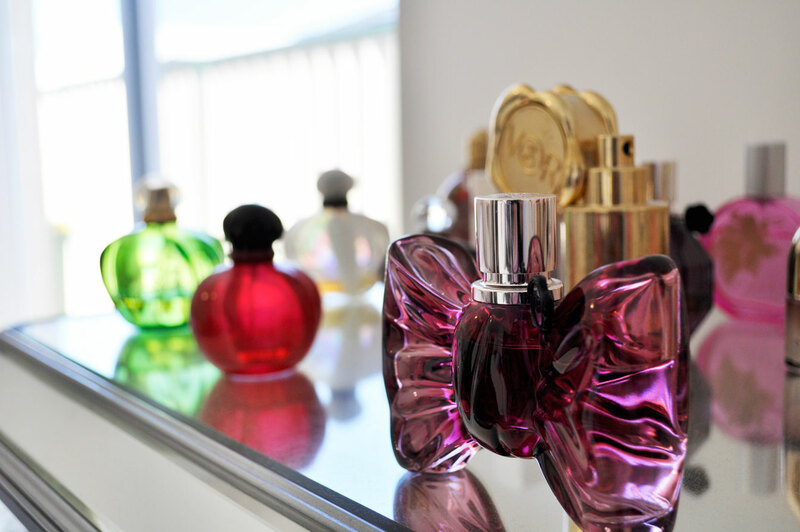 What is your favorite and how do you use it? Click here to find out more about Thursday Plantation’s extensive range of products and to find your nearest stockist.